The station is 44 inch's tall and easily mounts to a Wall, wooden post, or Tree. 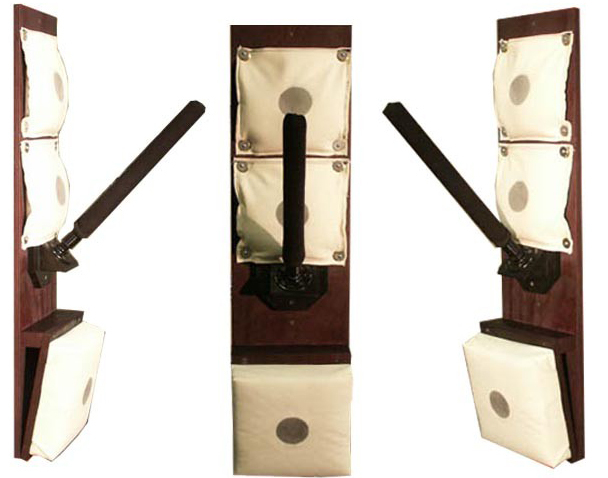 Starting from the top you have two 11 inch Rice filled canvas bags mounted at head and body level. 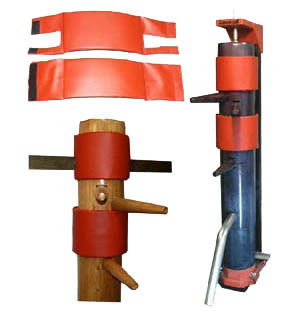 Next you a padded spring arm designed for trapping, sticking and pulling. 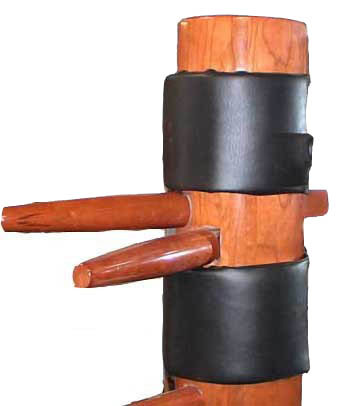 Last you have an 11 inch foam filled Makiwara board mounted at an angle ideal for knee striking.